In near future, unknown extra-terrestrials propose a business to mankind. They give us technology of interstellar travels and maps to 4 planets, ready for human colonization, if 100 million people inhabit their 5th planet in following 60 years. They guarantee not to kill the settlers but they refuse to tell their intentions. Several strong earth firms and banks accept their offer secretly, they established new company Cosmo-fleet and present interstellar voyage as an invention of one scientist. The story itself begins 59 years after preview, one year before final term. 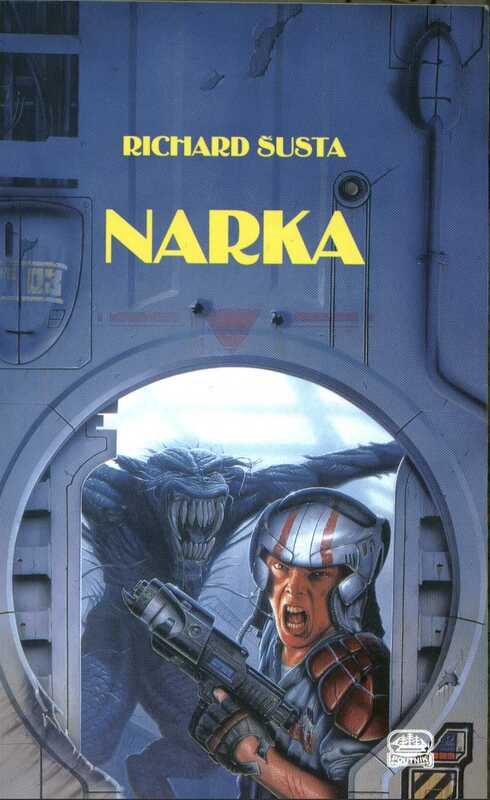 The 5th planet is called Narka in that time, from word narcotic (in Czech "narkotika"). Its colonization has failed in spite of great afford Cosmo-fleet because there live many danger animals and poison plants, partial with narcotic influence. Narka has only 40 millions inhibitions instead of promised 100 millions. Young boy Tarmin, orphan with good genetic code, is wrongly sentenced to death and sold to transplantation company Transplan. He escapes with the aid of a religion organization that is against such dirty business. He is convicted by monks to learn some trick with his mind. He should be voluntary caught by Transplan and find out whom Transplan buys bodies for. The risky plan is good idea but it is complicated by strong winter and several hidden groups trying rule Narka by ourselves. Tarmin gradually meets many beings and faces to many dangers. He slowly finds out surprising secret of planet. The story offers 488 pages of actions, unexpected turns, and surprising end. It was good accepted by critics and readers and nominated to Prize of Academy in 2000. You can look at pictures in the book.